Affiliate marketing is a method that has proven to be profitable for both merchants and affiliates, leaving them plenty of opportunities to monetize their online presence using affiliate links as their main tool. Before we start, here’s a quick overview of how affiliate programs work. There are two parties involved: merchants and affiliates. Merchants provide products and offer a commission based on certain goals – usually this is the actual sale of the product. Affiliates, on the other hand, promote those products using their own strategies and advertising audience. Sales are tracked, and when a visitor makes a purchase, it’s accredited to the individual affiliate who drove the traffic which resulted in a sale. This is how affiliates earn commissions. Whether you’re running an e-commerce business with a product you need advertising, or you offer software for other companies, learning more about affiliate marketing is a sure way to help you explore opportunities of growing your income. These rules are defined to help you optimize your approach and increase success with this method of online advertising. The best way to make sure your strategy is being developed according to your idea is to have a plan. This plan should highlight the main goals you want to achieve with affiliate marketing. You should also document your affiliate marketing strategy along with the results you achieve with each step. Being a merchant means you need this documentation as a reference. You will use it to create an affiliate program, to manage affiliates, and evaluate their performance. It will help you find out how effective your strategies are and if there are ways to improve your affiliate programs. Essentially, you will use the information to make your strategy better in the future. We all learn over time and improve our approach. As a merchant, you too need to develop your strategy and optimize it based on the practices that give good results. It should highlight the benefits of joining the program and what makes your program unique. A CTA which invites affiliates to join should be prominently featured, usually more than once. Use visual elements and custom layout of the page. Finally, make sure the page loads quickly and is displayed properly on all devices. It’s helpful to think about designing this page as a special landing page for affiliates. These examples can help you get some ideas, even though they aren’t specifically designed for affiliate programs they should help with creating engaging, high-conversion landing pages which is your goal here: 16 of the Best Landing Page Design Examples You Need to See in 2017. In affiliate marketing, you’ll soon realize that relationship and communication is something you should invest in to in order to achieve excellent results. As much as they can help your affiliate program grow, affiliates can also seriously harm your efforts. When you accept users into an affiliate program, you give them permission to promote your business. This means they will write about your products, mention your brand name, and of course, link back to your website. This way, they send the traffic to your website, hoping they will earn the commission based on the completed sales by those visitors. Think about this now. Do you really want any kind of website or blog linking back to you? Do you want to see your brand name mentioned alongside spammy content? Building reputation in the online world is very difficult and time-consuming. You do not want to jeopardize your efforts by collaborating with affiliates who do not provide quality. Hence, being extra cautious when accepting affiliates is very important. For starters, merchants require affiliates to complete an application form. Here’s where you’ll find out more about potential affiliates, including getting details on their website or a blog, company (if they have it), etc. Use this info to research the affiliates before approving their application. The next step is monitoring. Even if you’ve already accepted the affiliates in the program, this doesn’t mean your job is over. For all you know, in a couple of months, their website can be completely redesigned, change the owner, etc. Monitoring your current affiliates is the only way to make sure everyone is playing by the rules. Your rules, that is. Which leads us to the next point. Terms of service is the document that defines your affiliate program, the rules regarding acceptance of the affiliates, types of strategies they are allowed to use, etc. The main purpose of this document is to protect your business and legitimacy of your affiliate program. Create terms of service before you officially launch your affiliate program. Any affiliates interested in joining will have to accept these terms in order to become participants. This way you can regulate the actions of the affiliates. In case you notice any usage of illegitimate promotion techniques or strategies, you can immediately refer to this document and apply measures to prevent this behavior. Sometimes, you can first let them know that an activity violates the terms of service. Have in mind that most people accepting the terms don’t read this document in full. The other solution is to completely ban the affiliate from the program upon violating terms in order to prevent any further damage to your business and/or reputation. Here is a helpful guide you can follow when creating this document: How to Write Terms & Conditions. Another rule for a successful affiliate program is that participants need to be able to reach you. A lot of online tools will help you automate a great deal of your work as a merchant. You’ll automate email sequences, you’ll use software to track clicks and assign commissions. You can even use a tool to automatically accept affiliates who apply. Still, this doesn’t mean that you can set up everything on auto-pilot and disappear. Personally assisting the affiliates in some cases will help you strengthen your relationship with them and increase your credibility. Your common goal is to promote your product, which is why offering help to the affiliates actually means that you’ll be assisting with the promotion of your own business. If you want to succeed in affiliate marketing, the most important rule is – your product must meet quality standards. Otherwise, your efforts will all be useless. Once the customers figure out that you’re promoting products of low quality or irrelevant products, your reputation will be over in an instant. There’s a lot of “junk” online. If your product is low quality, you’ll have a hard time gaining customers. Also, you’ll have a hard time attracting affiliates interested in promoting those kinds of products. The affiliates’ promotion is based on their relationship with their target group. They choose to promote products or services that they find valuable. They also know that they can influence their audience with this kind of recommendation, due to their reputation. Even if the profit is the motive to join affiliate programs, affiliates are aware that their reputation is the most valuable asset they have. If they want to keep that reputation intact, they need to promote products that they really trust in and can vouch for. Also, the products they choose to promote should be relevant to their target group. Otherwise, they won’t have any success in converting their followers into your customers. Possible bad reputation around affiliate marketing is usually caused by a series of scams employed by both parties. Both merchants and affiliates can use illegitimate methods of boosting their performance. The scope of scams among affiliates is significantly larger. Starting from trademark pouching to cookie stuffing, affiliates use numerous tactics to basically, fake their performance. They use scams to earn a commission when they are not entitled to it. Merchants can detect some scams by exploring site analytics or through regular communication with affiliates. This is another reason why regular monitoring of the affiliate program and its statistics is crucial. You need to make sure everyone is rewarded for their efforts. You don’t want to end up paying for fake performance. Instead of seeing profit from the program, this might even bring your business down. For example, if you pay a commission per lead, you’ll be paying commission in advance, before the sale is complete. However, if this lead turns out to be fake, this means that you paid without getting value. With lead generation strategy, you won’t be able to convert everyone, but if an affiliate is constantly referring leads that are in fact not true leads, you might end up paying a lot for something that doesn’t have any real value. Finally, you need to have in mind that affiliate marketing is a part of online marketing. It should be combined with all of your other efforts to boost performance. 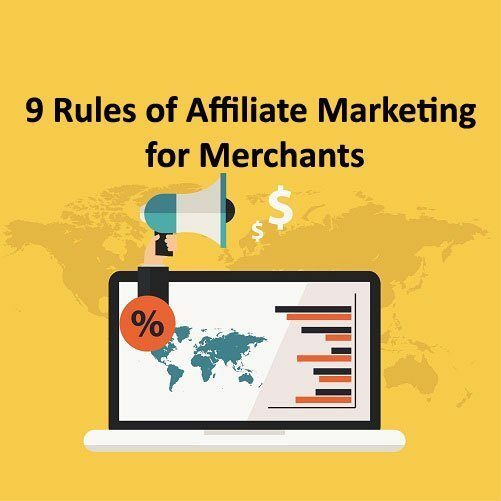 As a merchant, you need to understand that affiliates will use a lot of different strategies to promote your product. Most of them will use their blog, as the main asset in reaching online users. Since most bloggers communicate with their subscribers through their newsletter, using email marketing is another strategy for affiliates to promote affiliate links. Other strategies include social media marketing, search engine advertising, etc. Having affiliates do these promotions for you and reaching out to their audience is a great potential for merchants to reach new customers. It can be helpful to know which of these strategies work best and to which extent they contribute to achieving conversions. One thing to remember is: successful affiliate program = growth in sales and profit increase. 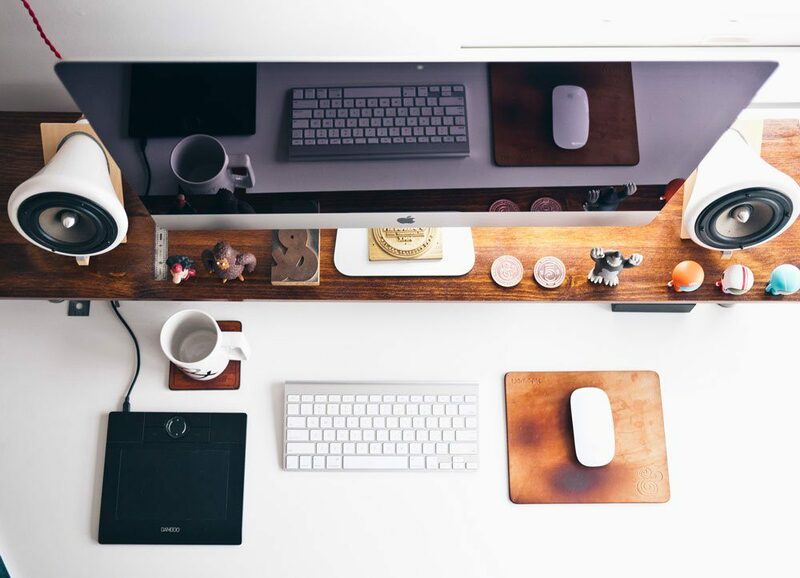 Since growing business is always the main goal, consider affiliate program as another tool to help you achieve that. The more successful your affiliate program is, the more online users you’ll reach, increasing sales, customers base and spreading the word about your brand along the way. Use the rules above to optimize your affiliate program, so that you can maximize its potential and leverage the opportunities it provides. If you want to learn more, you can take this free Affiliate Marketing course. Enjoy!